Note to self: When you have a feeling that something is timeless, you should buy it! That's what I am telling myself these days after regretting my decision to not purchase anything in the gorgeous Ikat print last spring! I am now seeing this gorgeous print again all over the runways and in fashion magazines again this spring, yet I cannot find anything in the Bangor, Maine area this year! These pieces to the right are a few Ikat print pieces that I considered purchasing last spring from Talbots. I was so close to purchasing the scarf!!! Now I wish I did. At least I would have one great Ikat print accessory piece to sport again this spring. 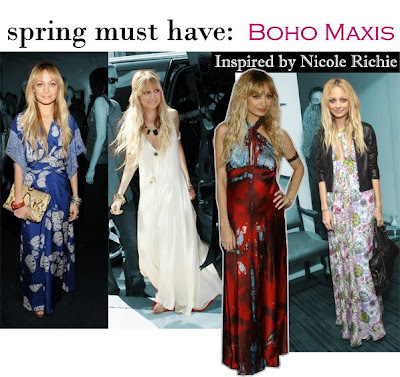 So the moral to the story is that Ikat prints are timeless and they seem to be super cool in the spring and summer. I love the way gold accessories look with this tribal print. Sort of reminds be of being an African Queen. Ikat prints also give off that cool hippy chic boho vibe. Nichole Richie's look that her sensational stylist Rachel Zoe created for her is a perfect example of this. (See bottom photo.) 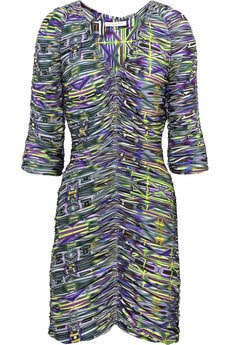 This is one of my favorite Ikat print pieces from this season by a designer named Matthew Williamson. You really should see his whole collection. STUNNING! http://www.matthewwilliamson.com/. 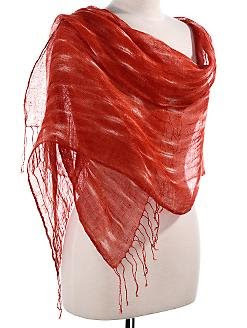 This scarf by Yarnz is just beautiful and you would be able to just throw this on and look like you know what you're doing. Not that I don't think you do already;) To the bottom left we have a very sweet and affordle top by Style & Co. available at Macy's $31.50. 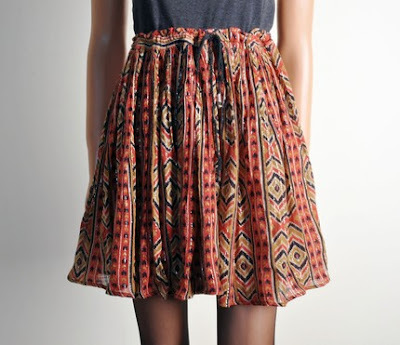 And this adorable skirt is a little something I found on Etsy by a seller named Persephonevinta $39.99. 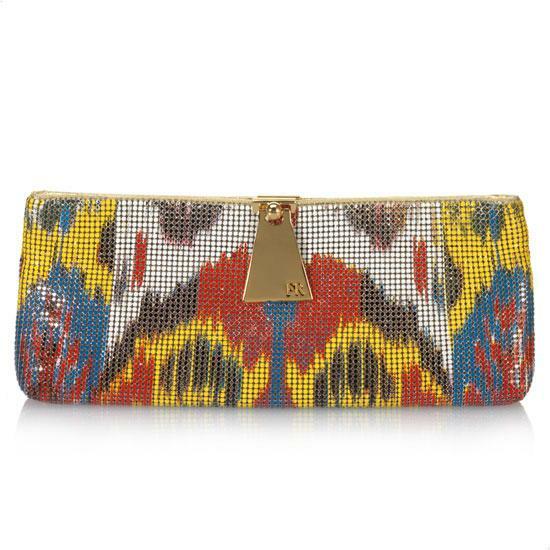 And last but certainly not least is this fabulous clutch by Felix Rey. STUNNING!